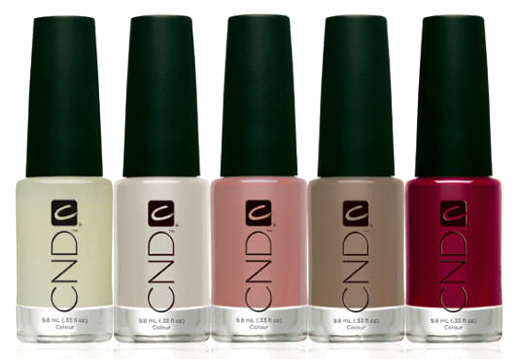 The 27 year old New York based designer Jason Wu, who is best known for outfitting First Lady Michelle Obama, has collaborated with Creative Nail Design (CND) on a limited edition nail lacquers - Jason Wu Collection. Four colors are featured in the collection: Miss Wu – an ashen matte grey that is Wu’s signature color, Brigitte – a gentle pink named after Brigitte Bardot, Veronica – a blood red named after bombshell Veronica Lake and Sophia – a mushroom hue dedicated to Sophia Loren. Last, but certainly not least is the topcoat, named Anna, which contains fragments of silk and gives your nails a tweed-like look. 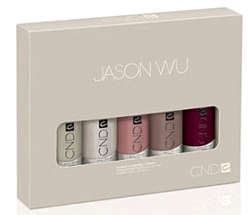 The price of Jason Wo collection is £49.95.